National Geographic presents a comprehensive guide to fighting mental decline. 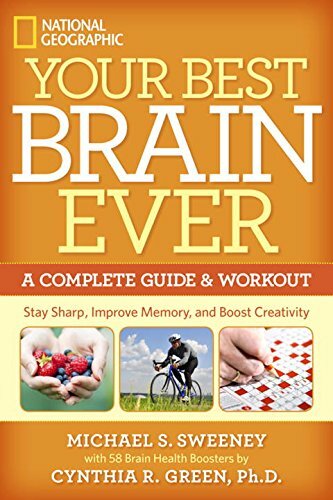 With cutting-edge neuroscience, information about Alzheimer’s, fascinating case studies, and tips to fight brain aging symptoms such as slower mental acuity and “senior moments,” this smart, engaging guide will help keep your memory sharp and your mind active. Fun, age-defying exercises–from body stretches to word games to foods that help you think–help the brain perform at its best, just like exercising does for other parts of the body. Leading memory loss expert Cynthia R. Green, PhD, and eminent science writer Michael Sweeney have created a book both informational and practical that gives readers everything they need to know about the care and feeding of one of the body’s most important organs: the brain.